Westworld concluded its second season with a jam-packed 90 minutes of action, reveals, twists, major character deaths, and even a kind of happy ending for some. So many bold choices were made in the span of an hour an a half and there is just so much to unpack, but I’m going to give it a go. As previously reported, the finale was titled “The Passenger” and it started out by having the paths of Dolores, Bernard, and William converge as they made their way to the Valley Beyond. Dolores finds William digging through his arm and questioning his reality while Bernard wanders around in a daze. 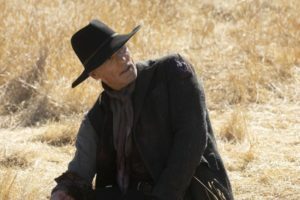 William makes the foolish decision to try and kill Dolores and this backfires on him spectacularly. He spends the rest of the time as an injured mess while Dolores and Bernard explore the massive archive containing the data replicated from all the guests in the park. “Logan” explains to Bernard that it was the latter who gave him instructions on what needed to be done. The Valley Beyond was another virtual reality (when you talk about worldbuilding on Westworld, one keeps going deeper and deeper) that could serve as a paradise for all the hosts. They would leave their physical bodies but their “souls” or consciousness would be allowed to escape into this bright, new world. Westworld is at its best when it really focuses on its characters and allows them to have significant emotional beats as opposed to presenting the audience with mind-boggling twists. The show sometimes gets lost in its own importance and is so determined to be clever that it becomes frustrating to audience and reviewers alike. That being said, this finale was not without its touching moments, including James Delos’ last conversation with Logan, and everything that happened with Maeve and Akecheta in the Valley Beyond. Maeve makes an epic escape from the lab, saving herself just as Hector and Armistice arrive. Lee Sizemore, who has come a long way from being that arrogant head of narrative, chooses to sacrifice himself to let them escape, reciting one of Hector’s cheesiest speeches, but one that he wrote himself, of course. All in all, not a bad way to go. Akecheta and his people find “The Door”, a crack in the background that is only visible to hosts. To humans it looks like the hosts are jumping to their deaths but their “souls” are actually freed. As they make their way to this metaphysical paradise, in rides Clementine, who was rewired with Maeve’s code to incite all hosts to kill each other. As massacre ensues, Maeve makes one desperate effort to save her daughter, stopping the carnage to give the child enough time to reach the valley. It’s a powerful sequence and a culmination of Maeve’s journey throughout the past two seasons. She allows the hosts to find a world where love matters most of all and she lets her daughter go. 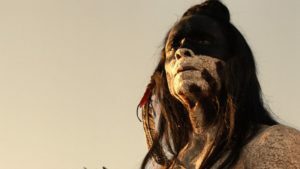 For a moment, I wasn’t sure Akecheta was going to make it but luckily, there is still some sense of justice in Westworld and he just about makes it to the Valley, where he is reunited with his love. These were some of the few happy moments in a bleak and confusing finale. But Dolores sees this as yet another gilded cage, and not a chance of freedom. She wants to be a part of our world, in all its imperfection. She shuts down the Valley Beyond and then Bernard shoots her. But anyone watching Westworld knows that there is no permanence in death. When we return to the “present” timeline, Bernard reveals that he resurrected Dolores by putting her memories into a host version of Charlotte Hale. At one point, Bernard tries to beg for help from Ford, who he had banished from his memory last episode. They seem to have a conversation where they concoct the whole scheme of bringing Dolores back to life as Hale. But in another scene that they share by the beach, it seems that Bernard imagined Ford all along. At least he’s been consistent as the most unreliable narrator in the whole show. But Ford’s a tricky one and has always found a way back. I wouldn’t be surprised if he appeared somehow in season 3. Dolores as Hale makes it out of the park but only after an enigmatic conversation with Stubbs who seems to suspect her true identity. She carried the pearls of a handful of hosts with her and judging by the not-so-subtle way the camera lingered on Maeve, Hector, and Armistice, one has a pretty good idea of who might be coming back. And it helps that Sylvester and Felix were also around to salvage the usable hosts. As emotionally rewarding and devastating as it was to see Maeve’s sacrifice, I would be so glad for her to be around in season 3. 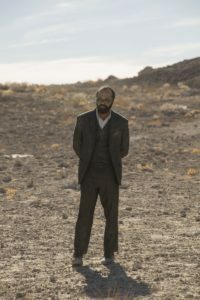 Westworld showrunners Jonathan Nolan and Lisa Joy have already talked about what we can look forward to in the next season, though they also admit that it will not be coming anytime soon. Most likely there will be another two-year wait before we find out what havoc Dolores decides to wreak in the real world and whatever is going on with William in the future. The second season has been an eventful one, filled with massive twists and turns while also spending time with characters and crafting some truly beautiful stories. 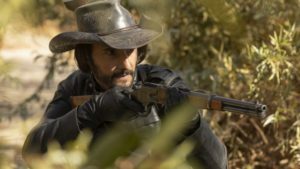 Though often bloated by its own self-importance, Westworld continues to be a profound and unique show that found increasingly intriguing ways to tackle themes like identity and immortality. Luckily for us, there is still so much to unravel as we wait for the next chapter of this extraordinary saga.